The winter holidays are a perfect time for parent groups to showcase what they do best: plan fun events, thank their teachers, give back to their communities, and show spirit and goodwill to other parents. Download our holiday planning guide for PTOs and PTAs for lots of thoughtful, creative, and fun ideas (and loads of free downloadables like gift tags, candygrams, and more) to show your holiday spirit as a parent group and school community. Ideas for great PTO holiday events like breakfast with Santa, winter holiday movie night, cookie decorating, and more. Comprehensive list of what teachers really want for holiday gifts, plus downloadable gift tags to customize your gifts. Holiday community service ideas that make it easy to choose a project or drive that works for your group and school. Suggestions for ways to help parents during the holiday season. 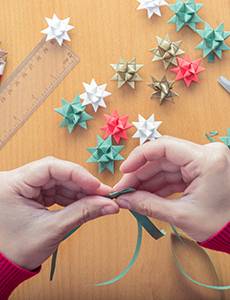 Last-minute holiday ideas, Facebook graphics to share with your group, tips for classroom games and parties, and more! Download the Holiday Guide for PTOs and PTAs for free.